The College Bound Brotherhood is led by a steering committee with deep experience in the education, philanthropy, and nonprofit sectors. With support from our respective organizations, we are able to bring forth our individual expertise and experiences within the field to build a successful college enrollment and completion initiative for African American males. Alicia has 25 years of California-based, professional experience in non-profit, for-profit, government and foundation settings. 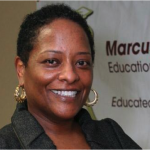 She joined the Marcus Foster Education Fund following eight years as a Program Officer with The California Endowment (TCE) where she provided leadership in developing comprehensive efforts to maximize opportunities for underrepresented high school students to successfully pursue health careers. Prior to joining The California Endowment, Alicia worked in various settings as a consultant addressing the most pressing policy issues of the times including environmental and domestic violence issues. Alicia earned a Master’s Degree in Public Health from the University of California, Los Angeles and a Bachelor of Art in Microbiology from the University of California, San Diego. 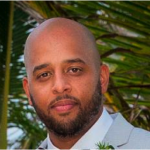 Brian’s passion for equity in education and service to the community led him to join the Marcus Foster Education Fund and the College Bound Brotherhood in 2014. Previously, Brian served as an advocate for children and families in a number of capacities. He began as a Caseworker with transitional age foster youth for the Prince George’s County Maryland Department of Social Services Independent Living Program. In 2009, Brian returned to the Bay Area and began work with Project Avary as an advocate for children affected by parental incarceration. Brian obtained a BA in Journalism from Howard University and his MSW from the University of Maryland, Baltimore School of Social Work. 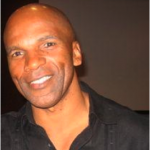 Cedric Brown is a longtime funder and activist, steering over $60 million in grants to community efforts. In his current role as the managing partner of the Kapor Center for Social Impact, he devises and implement strategies to build an inclusive high tech community that mirrors the dynamically diverse population of California. His recent projects include creating or advising the Google Big Tent, Live WorkOakland’s tech ecosystem database, Brothers Code, #YesWeCode, 2.Oakland, and Vator Splash Oakland. 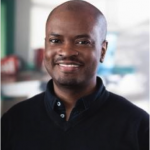 Cedric was the co-founder of the College Bound Brotherhood, a direct service and systems change initiative that increases the number of African American young men who complete high school and college. He has been honored as a Changemaker in the San Francisco Chronicle, a Champion of Change by Startup Weekend Oakland, a Champion for Youth by East Oakland Youth Development Center, and was profiled in TheRoot.com for his leadership participation in President Obama's My Brother's Keeper initiative. Building on his professional experiences, he personally launched the Springboard Award, a small family fund prize to support the personal development aspirations of African American young men in Oakland, CA and Winston-Salem, NC. Cedric holds degrees from the University of North Carolina and Stanford University. A native North Carolinian, Cedric practices the diplomatic arts of a Southern gentleman. 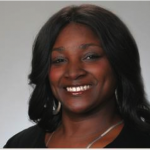 Tamara L. Moore joined the College Access Foundation program staff in October, 2007. She has been promoting financial aid and college success strategies to low-income students since her time as a student at San Diego State University. Since then, she has planned, developed and managed programs addressing priority health, education and social issues of underserved communities in San Diego, Los Angeles and statewide. Tamara is a Ronald E. McNair Scholar, recipient of the California State University Pre-Doctoral Award and an Association of Black Foundation Executives Fellow and member. She is a member of the Council on Foundations, Southern California Blacks in Philanthropy and Southern California Grantmakers. Will Walker is the Associate Director of the Marcus Foster Educational Fund. He was born and raised in the Bay Area. Prior to joining MFEF, Will worked across the country addressing some of the nation’s most challenging conditions, especially in schools. During that time, Will developed strong capacities to work within the full spectrum of diverse communities - from very grassroots environments to executive level boardrooms. Will is a father to three sons, that have taught - and continue to teach - him that listening is the first task of love. Will earned his Masters of Divinity degree from Princeton Theological Seminary, where he won the Edler Garnett Hawkins Memorial Award for Scholastic Excellence, and his Doctoral degree from Princeton University.